Here is a bright addition to the night sky. 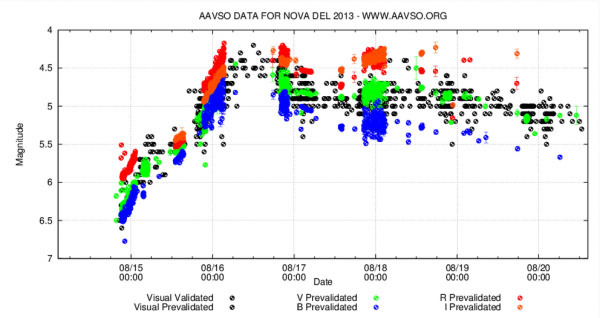 Nova Del 2013 (constellation Delphinus) is a white dwarf around a small main sequence star. It was detectedon the 14th of August at 6.8 Mag, and continued to brighten to approximately 4.3 Mag. on the 16th. 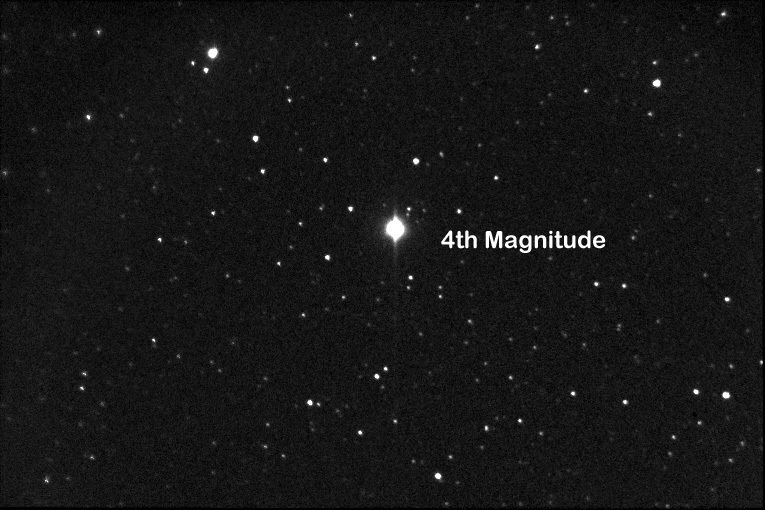 Before the nova, the binary was only about 17th Magnitude (no brighter than the faintest stars visible in this image). The star's designation is PNV J20233073+2046041, at RA 20:23:30.68 DEC +20:46:03.8.